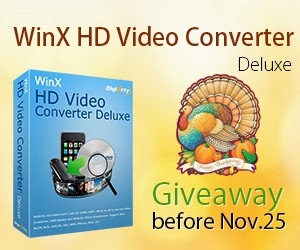 To celebrate the upcoming Thanksgiving 2013, Digiarty Software has run great Thanksgiving giveaway campaign offering great HD video converting software – WinX HD Video Converter Deluxe that can convert videos to different formats for you to play in different media players and mobile devices. From now on to November 25, you can visit Digiarty’s Thanksgiving Giveaway page and get the software for free.  Convert videos among M2TS, MKV, AVCHD, AVI, MP4, Google TV, WebM, Vpx8, etc.  Convert videos to iPhone 5C/5S, iPad Air/Mini New, Android, WP8, Sony PSP, etc.  Edit video by trimming, cropping, merging, setting video audio parameters and adding external subtitle.  Download online videos from YouTube, Facebook, Viemo, etc.  Make photo picture slideshow video. 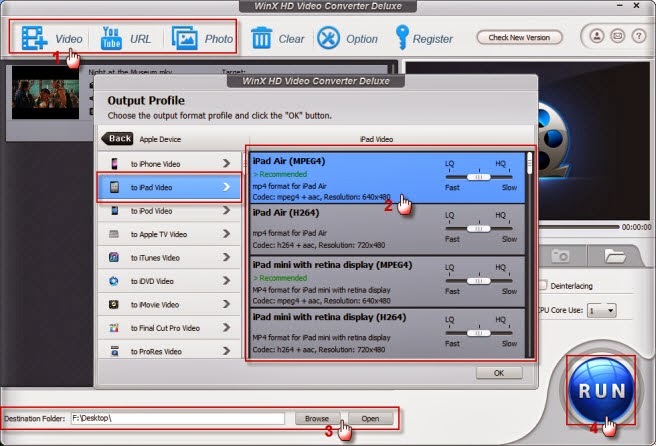 How to Convert Video with WinX HD Video Converter Deluxe? It is not difficult to convert video with WinX HD Video Converter Deluxe well-designed with simple but user-friendly program interface. After free download and run the software on your PC, make the following clicks and then you can get video you want. Click One: Click '+Video' to load the video to be converted to iPad Air. Click Two: Click a video to iPad Air converting profile like 'to MPEG4' format. Click Three: Click 'Browse' or 'Open' to select a destination folder for the output video. Click Four: Click 'RUN' to start converting. The whole converting will be completed within very few minutes. Find the output MPEG4 video and transfer it to iPad Air, and the rest thing is just enjoy the video on iPad Air. Digiarty also prepares DVD backup related software, and the giveaway for this software will be disclosed on November 26 and last until December 6. Just stay tuned.